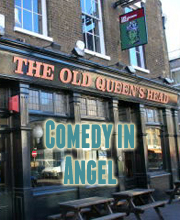 Laugh Out London presents two of our favourite comedy acts performing work-in-progress shows. Known for his pioneering Edinburgh shows mixing comedy with deliberately bad poetry, Tim scooped the main prize in 2009 and has never looked back. You probably seen him as Alan Partridge’s put-upon sidekick, Sidekick Simon, in Mid-Morning Matters or Alpha Papa. Or maybe the final series of Peep Show, or contributing poems to Charlie Brooker’s Screenwipe, or the criminally underrated sketch show Cowards. Either way he’s incredible.